Long before EVs and hybrids, folks looking for fuel sippers turned to tiny subcompacts. Now, they’re still some of the least thirsty cars you can get. Here we’ll pit the Mirage against the Fit. 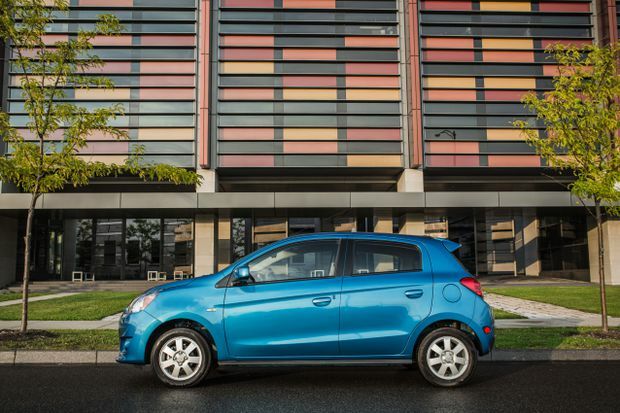 The Mirage gets better gas mileage, but the Fit beats it for handling, power, comfort and space. 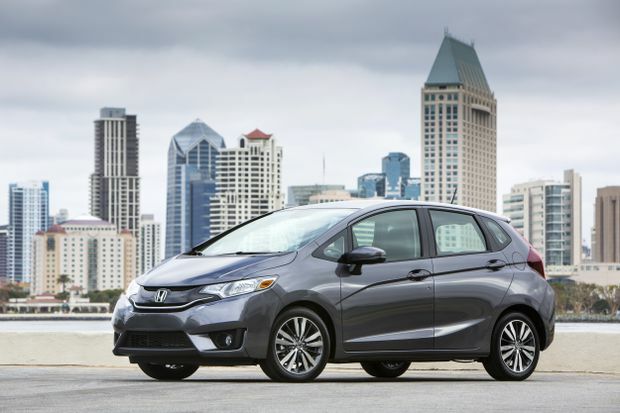 The 2015 Honda Fit got smaller on the outside yet roomier on the inside. You’re not likely to have a fit at the gas station with Honda’s roomy entry-level hatch. Redesigned for 2015 with shorter overall length but a longer wheelbase, the Fit got smaller on the outside yet roomier on the inside. For 2015, there were four trims: DX, LX, EX, and EX-L Nav. Skip the base DX if you want AC or the CVT – it didn’t offer them, although it did come with Bluetooth and a reverse camera. The LX – which came with AC, heated seats, cruise control and an optional CVT – is a better bet. Consumer Reports liked that the Fit had “lots of space in a small footprint,” a versatile interior, good handling and plenty of standard equipment. But, it griped that the Fit was slow, noisy and hard riding. It gave the 2015 Fit three out of five for reliability. There were three recalls, including a fix to a drive pulley shaft that could potentially break while driving and cause the wheels to lock up. For Mitsubishi’s cheapest car, the fuel economy was no Mirage. Built in Thailand, the 2015 Mirage came in four trims: ES, ES Plus and SE. ES Plus added extras including air conditioning, Bluetooth, keyless entry and power rear windows. Consumer Reports liked the fuel economy – and that’s about it. It said the Mirage was “perhaps the worst-handling new car on sale,” very loud inside, underpowered, and uncomfortable for the driver. Consumer Reports has no reliability ratings for the Mirage. There were three recalls, including a fix to a software glitch that could potentially deactivate the airbags.